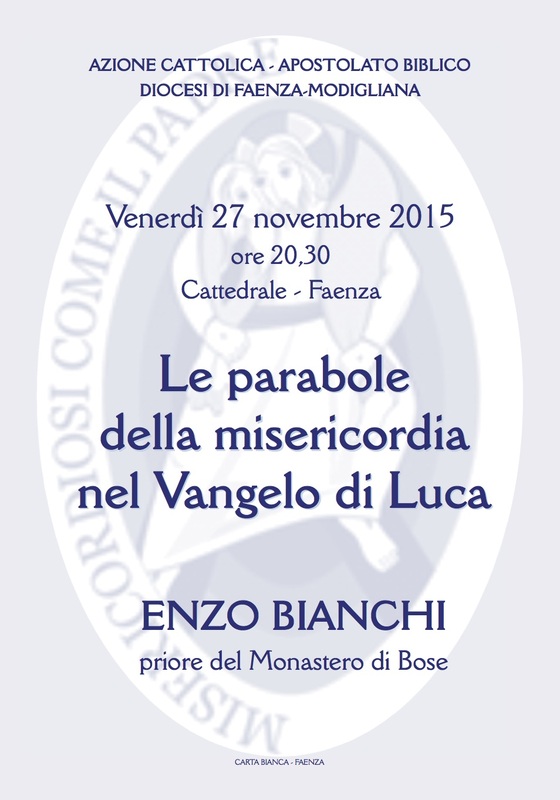 Enzo Bianchi, Cathedral of Fidenza, presented as “Father“, perhaps … Father of Faith ? If there is a hypothesis that no priest hopes can never become reality, It is to reject firmly obedience to their bishop. For any good priest would be in fact easier to face death, animated by the certainty of faith in eternal life and the resurrection of the dead. Disobedience to the bishop can in fact only be born the certainty of death ecclesial, with this serious consequence: cause significant impact to the Church of Christ resulting in confusion and scandal Christi fideles. 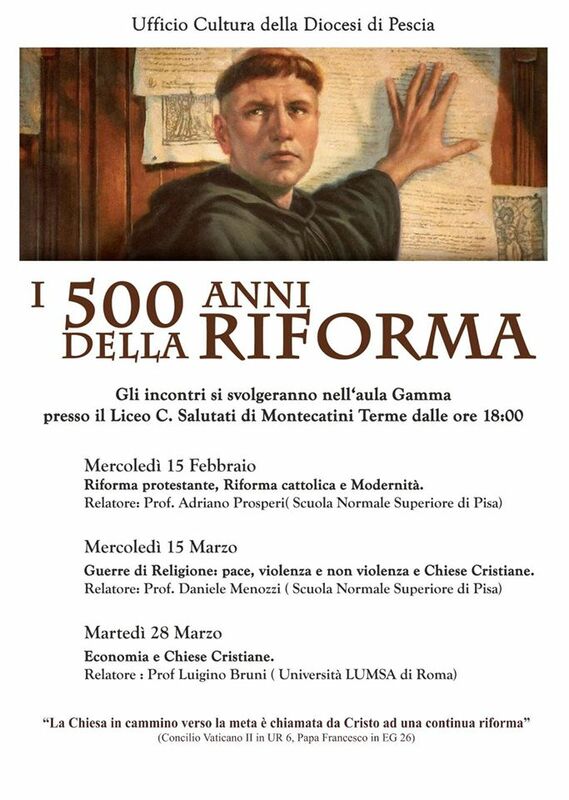 Although today the Church of Christ apparently pushed toward becoming a multinational company dedicated to doing good, all’ecumenismo, all'ecologismo, with all its internal factories molasses and low-quality honey, with Masons who suddenly have discovered papists and members of satanic Radical Party that suddenly fell in love with the Vatican, and that does not threaten a referendum demanding the abolition of’Eight per Thousand the Catholic Church, remains in dispute that as well as uneducated and ignorant of Priests, it is clear that in the particular Church, the Bishop embodies the Christ holding all living members that form the body of the Church. For we are the Mystical Body of Christ, not a philanthropic institution dedicated to social assistance, because as the Word of God says: « … what reward have ye ? Do not even the Gentiles ?» [cf. 5, 38-48]. And in the definition "pagan" we can read both the Masons infiltrated the Church, both satanic radicals believe that now, In brief, The Church “It is converted entirely” and finally declare abortion a great social achievement, an act of euthanasia Christian charity, the homosexuality one way only natural to love. All this without that many of our vescovoni and cardinaloni realize that the Devil, when caressing, He does not do it because he is good and loves us, but only because he wants to steal the soul and take us with him to Hell, that it exists and that it is not empty. Even the most superficial of Priests, when listless and hasty manner celebrates the Eucharistic Sacrifice of the Mass, sbrigandosi has quickly because after things "more important" to do - sort assist refugees or join an "ecumenical" meeting with the local Pentecostal sect of heretics -, He knows to celebrate in communion with his bishop, in turn into full and perfect communion with the Bishop of Rome. In the canon of the Mass, the names of the Supreme Pontiff and the Bishop of the Diocese are not appointed to remind those present who sits upon the chair of Peter, and those on the episcopal throne of the particular Church, also because the words spoken by the celebrant are very clear: "Remember, Father of your Church throughout the earth, make us grow in love in communion with our Pope Francis, our Bishop ... ". And in this phrase recited by the celebrant on the Body and Blood of Christ placed on the altar, It is contained the essence of obedience, combined with an obvious awareness: The priest always celebrated the Eucharist in communion with the Bishop, because the validity of all the Masses celebrated in the Diocese, depend on the validity of the Eucharist celebrated by the High Priest, the bishop. During the solemn sacramental act of priestly consecration, before the presbytery there and to the People of God assembled in the Church, we all have freely and consciously responded "yes" to a very clear and precise question asked by the Bishop: "I promise to me and to my successors reverence and obedience?». If so they are less respect and obedience to the bishop, It decays in the priest the Church, with the risk that below decay in it also sense of faith. And if the priest decade obedience due to the Bishop, in that case it fails the principle of that communion which the Church is founded and steady, with a very serious consequence: the Eucharist celebrated by a priest who disobeyed the Bishop, which celebrated the Eucharist depends on the validity of all the Masses celebrated in his particular Church, depending on the severity of the case is likely to be a sacred celebration valid but illicit. It said this is good to remember that the priest does not have the "power" to celebrate Holy Mass or the "power" to administer the sacraments, It demonstrated by the fact that we receive from the Priests Bishop "the right" to celebrate Mass, administer confessions and to preach, we do not receive an "irrevocable power", much less "personal capacity". And the faculties conferred to us and granted, as are given by the Bishop, by the Bishop himself may be revoked. Now you need to understand what really is obedience, but above all on what is founded. Our obedience born of faith that comes to life by the freedom of God's blessed children from accepting of his sanctifying grace actions. Obedience can not and should grow by an irrational instinct, but only by reason. The teaching of the Holy Doctor of the Church, Anselm of Canterbury: «Faith seeking understanding » [Faith requires the reason] and viceversa "Faith seeking understanding » [the intellect requires faith]. Therefore, Christian obedience, It exists only in relation to faith, to a faith that requires ratio, to paraphrase the famous encyclical of St. John Paul II: Fides et ratio. The priest by the Bishop filial respect and obedience because it is covered by the mystery of grace of the fullness of the apostolic priesthood through which was established legitimate guardian of the deposit of faith and the Divine Law. "Conscience is not to […] in a desire to be consistent with themselves; it is a messenger from Him who, both in nature and in grace, He speaks almost through a veil, and teaches us and guides us by means of its representatives. consciousness it's a Vicario aborigeno, first among all, of Christ, a prophet of his information, a monarch in his orders, a priest in its blessings and its curses; and even though the eternal priesthood, which is embodied in the Church could cease to exist, in the sacerdotal principle would remain conscious and would have the dominance ' [cf. Letter to the Duke of Norfolk, (c). 5]. It clarified that the priest carry out his priestly ministry sacred in communion with the bishop and that can never exercise it regardless of the Bishop and his apostolic authority, the problem that arises is to us the following: What happens when the Bishop, instead of showing an attentive guardian and defender of the faith, instead it puts at serious risk the integrity and safekeeping of faith ? "Woe to the shepherds […] not have made strengthened the weak sheep, you have cared for the sick, you do not have those wounds bandaged, you have reported the scattered. you did not go in search of the lost, but you have ruled with cruelty and violence. For lack of a shepherd, and when they were scattered they became food for all the wild beasts: and they were scattered " [cf. This 34, 4-5]. pastors wicked, these bishops, because they invite the wolf of heresy into their folds. 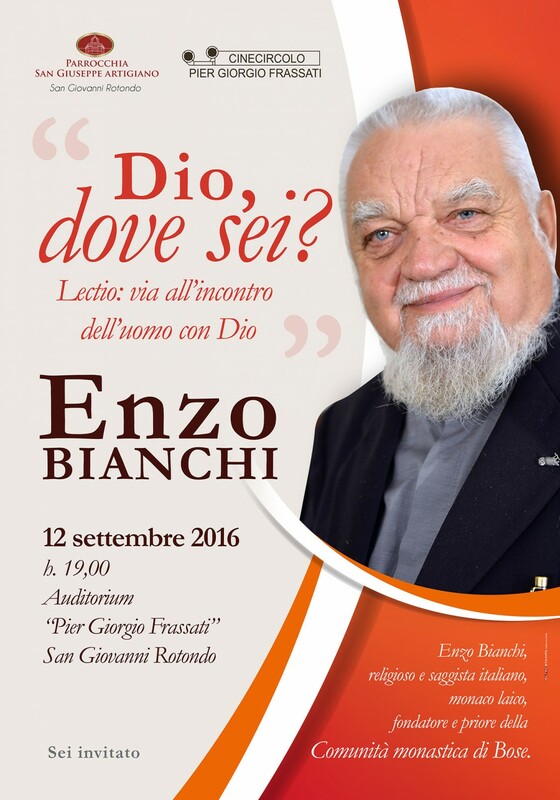 Indeed, Enzo Bianchi, as shown by hours and hours of public movies and recordings of his lectures and lectiones public, teems Christological heresies, pneumatological and ecclesiological like a river in flood. 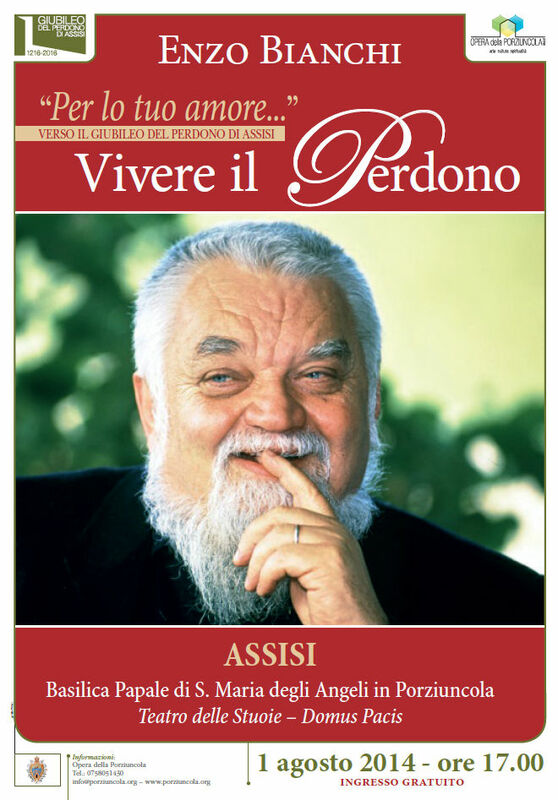 For months, the editorial staff of The island of Patmos It is committed to study and collect materials consist mainly of "sermons" public held by Bianchi also inside the cathedral churches of various Italian dioceses before Bishops complacent, about which we can only ask ourselves disconsolate: are perhaps, they, guardians of the deposit of faith? We can only respond decisively: No! Because a bishop that even inside his own Cathedral offers grandstand for the anthology of similar heresies, It is nothing other than a poor official career plagued by mediocrity that makes it unable to make memory of the basic foundations of the Catechism of the Catholic Church. When a bishop calls a heretic to speak its priests and flock entrusted to him by the feed and cherish; when a bishop is so ignorant point of not even distinguish a resounding Christological heresy enunciated in the aisles of the cathedral church ... well, this Bishop, in the specific case set out just now, should never under any circumstances and obeyed. It should not be obeyed because the primacy of obedience in faith is up to the Christian conscience, in which every baptized encloses and preserves the natural mystery of grace for sense of faith, along with the natural sense of right and wrong. No Bishop, in the name of his apostolic authority, or worse in the name of that devastating and destructive authoritarianism typical of mediocre in power, can pass the good for evil, nor can define heresy as a "great spiritual breath", When he had to say a wretched bishop in his cathedral church in which the Whites had just denied through his heterodoxies the mystery of original sin, with a confused biblical exegesis based partly on the theories of Rudolf Bultmann, in part on the worst historicist criteria. It is absolutely wrong, before gravity of such situations, try to get away with saying: "If the bishop ordered me compels me or something wrong, I carry out the order, despite being aware that it is a wrong command, and then, with Dio, if you will see him ". This and similar statements are not manifestation of exemplary priestly virtues, sono peccaminosa the nefarious and contrary pavidità. Or to quote an example: a bishop can not control its priests to accompany for duty “Christian charity” women to have abortions. And the priest that before a similar fact reacted by saying: "I know it's wrong, but the Bishop commanded me, then I perform the order, Then he will answer to God in ', perhaps it does not take into account - or rather it suits for a quiet life does not take into account - in the name of any obedience can acquiesce to a shameful sin, because that would make us not only accomplices, but those responsible for sinners so much and what it is he who has given a wicked command against Divine Law. 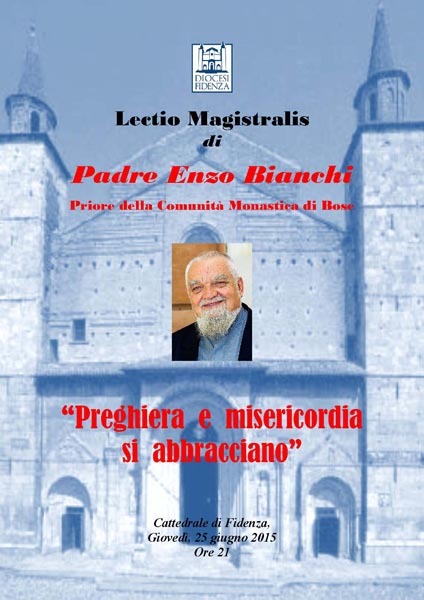 … for years, about Mr. Enzo Bianchi, We Fathers de The island of Patmos we receive letters and private messages from various Italian Priests complaining about the omnipresence of the illustrious bosiano in meetings organized by their bishops, but most are forced to put up as doverselo invited to hold workshops or retreats to the clergy. 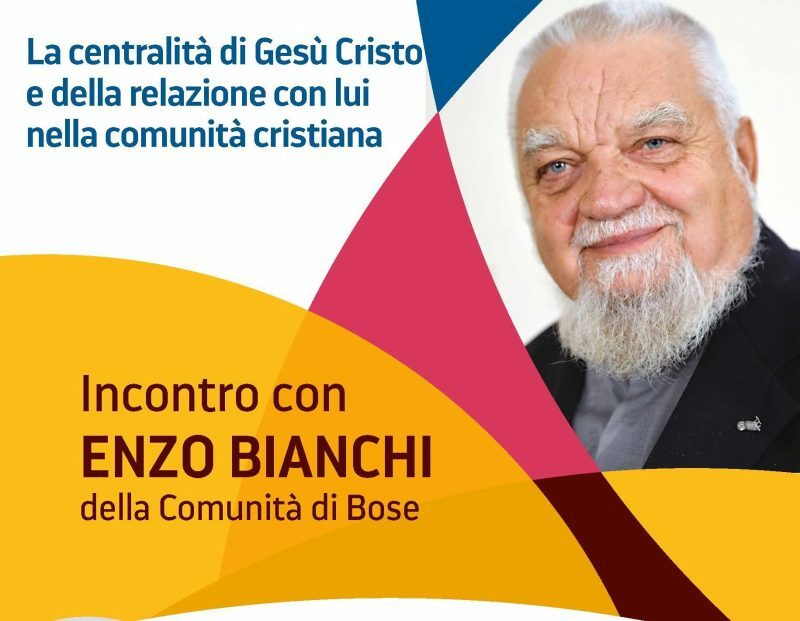 Needless to say the vast majority of priests, particularly those with forty or fifty years of pastoral experience behind, poorly digest that the secular Enzo Bianchi is invited by their bishops to instruct them and train them on how to be good shepherds, on how to exercise the sacred ministry, on how to make the liturgy, on how to make more generally Church. 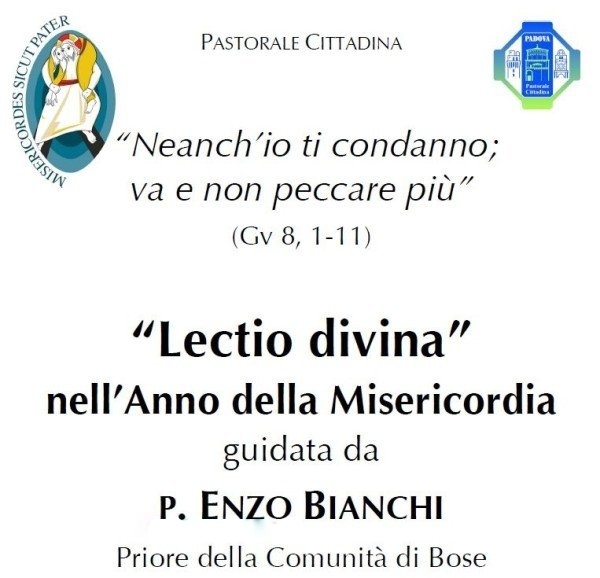 And I must say that the messages and personal letters addressed to us by these priests are always very sorrowful tales and containing no lesser violations, namely the various heresies laid down by Bianchi, with all its overt and related epistemological tips of the case. ... Some Brothers have responded that the Bishop would not hesitate, in retaliation, to take his parish; others have told me that held in the parsonage their parents elderly sick and could not take the risk to be moved in some chaplaincy, without adequate shelter to keep close to her elderly parents and sick; others have responded with the classic "... and who am I doing this, so I certainly will not change things ". These Brothers ready to electrocute the Bianchi in the seclusion of their sacristies, only place where they are able to take pro tempore appearance by lions, or to complain of him in private messages or in the privacy of the inner hole, I must remember that anyone can be imposed heroism, but, be a Christian priest in line with the basic principles of the Catholic consistency, This is indeed an obligation. Therefore, if a Priest, to protect its position, of their peace and their private interests, He supersedes fearful of what he knows to be seriously wrong on doctrinal and pastoral plan, will prove to be a priest can not thus - as well as unworthy - to celebrate the Easter Triduum. And if you really celebrates, It should do so with the knowledge that his priesthood style is all contained in the Gospel of the Passion within a specific sentence: "Then, all the disciples, They left him and fled " [cf. Mt 26,56]. Gravest of cowardly spirit is definitely the one driven by private interest that generates the fear that putting in some priests against the bishop who errs seriously to put into the chair in front of his priests a heretic, they risk not reaching the prestigious archpriesthood town which yearn, or not be appointed canon of the metropolitan chapter, or not to receive a prize from the band monsignor, or not to be put at the head of a curia office, or being excluded from some triad to the episcopate nomination. This kind of priests moved by interests so mean, They are much worse cowards, place that sometimes, cowardice, It can arise from purely limitations of character completely independent of the will, but instead it is part of the studied and deliberate desire the choice to live a priesthood of convenience in which it aims to achieve and get the most with the least effort, but above all safely. Needless to say, this second kind of Priests, by the way they live and act show us to what extent, the martyrs of the faith, They are only a middle ground between the bizarre idealists and poor people who have never figured in their lives how things work in this world, and how will it rather be wily and false to get the maximum benefits with minimum effort. Then there are the seminarians obligatorily sent by their bishops to make withdrawals in confusing multi-religious community of Bose before their sacred diaconal and priestly ordinations. Several of them have complained about this compulsory duty, explaining the total lack of respect from them nourished towards Bianchi. Again my answer was simple and clear: "Do not go there, rejected!». But then a seminarian, only for this candidate to become a bad priest, promptly responds: "If we do not go, Bishop orders me not ». And before this "justification" that is not an excuse, but the chronicle of a death foretold priestly, Plus I replied times: "Know that in your place I would not do me right order, by a bishop that before you deacon forces you to go to abbeverarti at the source of heresies ". To these priests eternal complainers in private, but accomplices and supporters of error and scandal in public, we can only remember what you answered one by one the places Nazis under questioning at the Nuremberg Tribunal. For atrocities of Nazism have been justified in replying that those moments were the warring military and as such had only obeyed the orders from above. Needless to recall the sentences that were and the end which made these zealous and blind obedience to superior orders, thanks to which it was possible the realization of some of the worst crimes against humanity. Because the crime against humanity, unlike an act of war in which they can also lose the lives of innocent, It is never justifiable behind the screen of an order received, because there is a higher order that would close off a conscience up to push the human being to be a faithful executor of the worst crimes against humanity. Therefore, Venerable Brothers mourners in private, first of all know that heresy is the worst crime against the faith, and that in the face of all this, God's judgment on you will be particularly severe, because you are guilty of passively witness to the truths of faith by certain carbonated your bishops and then by the same incinerated in crematoria, and to feel it even though with the "conscience" in place, because you have only obeyed a higher order, just as the Nazi criminals prosecuted to the bars of the Nuremberg Tribunal, that the question: "She admits to having driven and locked up for two years, thousands of human beings in the gas chambers?». With incredible coolness responded: "And, I did it, but not by choice and desire, but only because I obeyed the orders from above '. There is therefore a warning the phrase of the Gospel that all of you have read and preached in various periods of the liturgical year: "To whom much is given, much will be required; to whom men have committed much, It will ask the more " [cf. LC 12, 39-48]. And, as you know, our unworthy hands Christ entrusted the mystery of His Body and His Blood, our custody and protection has entrusted his Holy Church. 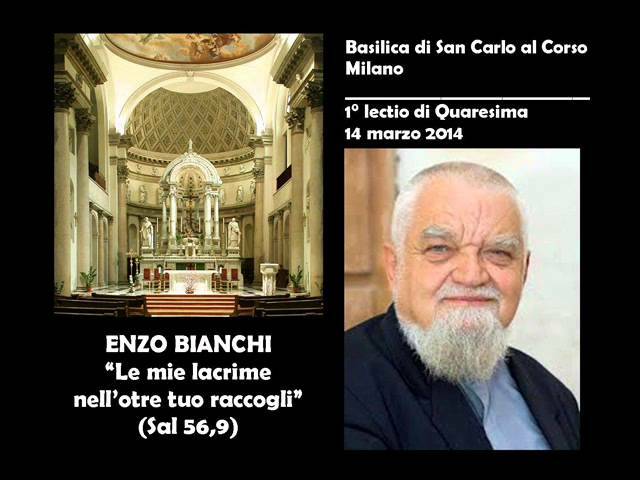 Now follows a detailed list of Bishops who invited from February until October 2017, the bad teacher Enzo Bianchi in their dioceses and cathedrals [cf. WHO]. 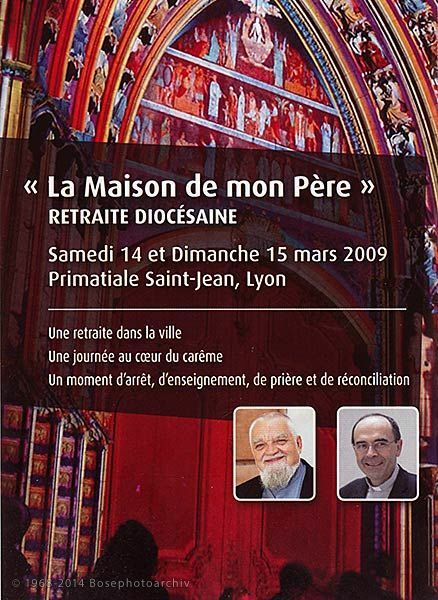 We are inviting to the Priests Brothers who do not want to go the way of the Nazis to the bars of the Nuremberg Tribunal, It is to not play lions from the sacristy in private and to timid who obey higher orders in public; and how many of them are dear and precious mystery of Revelation and the deposit of the Catholic faith, do not hesitate to boycott these meetings, by not participating in symposiums in which this heretic is celebrated as a guest of honor by several bishops foolish and wicked, that by acting in this way pushing the deposit of faith to the gas chambers and then towards the crematories. I also hope - And what for them, not for me that does not aspire to a red dress are by the grace of God's free - that certain bishops aside any thoughts of thunder to the spirit "intolerant" and "aggressive" on my part, because in their opinion "in the Church they have always lived together different opinions» (!?). Heresy is not a free different opinion, is a spear on the side of Christ, an attack on the Mystery of the Revelation, then to that faith, of which the bishops are supreme guardians, not sure commentators questionable, according to fashion, the charms and malvezzi of this world. Therefore, to bishops who fail to protect the truth from error, but rather they invite in their cathedral churches those that spread the poison of error, What is dutiful, right, holy and meritorious - in this case, and only in this case - not to obey, ever ! 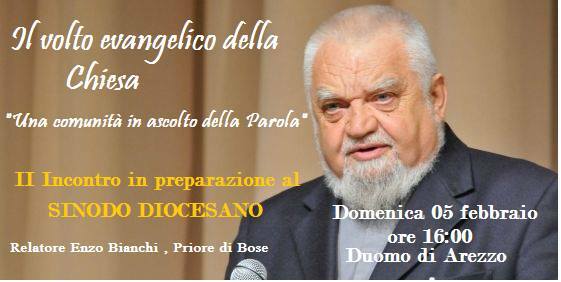 When the Holy See begged those responsible not to promote the dignity of the Episcopal priest Pisa Roberto Filippini, Today Bishop of Pescia, already it is known as the Pisa liturgical abuse teacher and more thrust and distorted idea of ​​ecumenism and interreligious dialogue, obviously I did not give me listen. 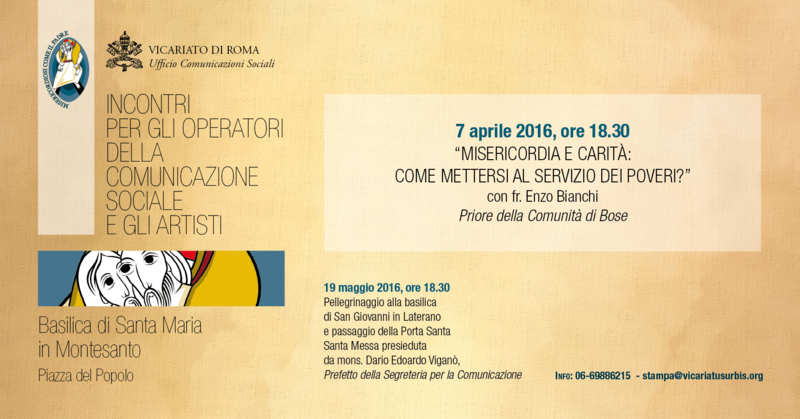 The Office of Cultural Manifesto of Pescia diocese reproduced here [cf. WHO], It shows what the results have been: the adulteration and falsification of Vatican II, stating that "The Church on the way to the destination is called by Christ to an ongoing reformation", It does not mean that Catholics should be driven by some of their bishops to embrace the pseudo “reform” Martin Luther. This heretic German has nothing reformed, She has just broken dramatically communion of the Church through the heresy and rebellion to Peter instituted by the Word of God as the Vicar of Christ on earth, sole legitimate guardian of the integrity of his Mystical Body of the Church a, holy catholic and apostolic, which are not covered by the Mystery of Revelation a "multiplicity" of "churches", because Christ, on earth, He founded only one and only Church entrusted to Peter and the Apostles. This is our faith, this is the faith that it is our duty to spread, protect and preserve. No wonder. There are priests who, if you go to ask for support to understand what is happening inside the Church, reply “Do not read the papers”. Great pastoral care. The island Fathers, taking responsibility to warn the people of God against false prophets, They have chosen to take a great weight on their shoulders. God reward. And’ well that each of us take responsibility, thinking of the day of judgment. I read the very interesting article but unfortunately I have again confused ideas. She writes that the priest must respect and obedience to the bishop unless it poses a risk to the integrity and safekeeping of faith. And if a priest saw the granting of the communion for divorced and remarried a risk to the custody of the faith, even then should not obey? And the pope is the same speech? In matters of faith that is the infallibility of the pope and in this case obedience must be supported by this dogma? I wrote that I have once again confused ideas why this dilemma I thought I just solved “subduing” their thoughts and their will (and then obedience) the dogma of infallibility of the Pope. They are a simple Christian who seeks to understand so I apologize if I misspoke some concept and if the new throne on this topic. with all the good will, clarify the “confused” it is not possible to be in a more or less short answer to a comment. One thing, however, please do, if he wants, It is to use the Internet as an effective tool to clarify the doubts, not to increase them. I'll explain: jump like birds flower in bloom, with a fast page clik in page, or to drink opinions of opinions or case scenario assumptions, often it is written by people without even identity, other times by people who have self-attributed the qualification of “experts” theology, ecclesiologists and telematic canonists, even if they are unfamiliar with the basics of the Catechism of the Catholic Church, as well understood is a material that can not benefit just anyone. Father John and I Cavalcoli, we deal neither clericalese record nor to gossip vaticanese, we handle The island of Patmos with all the theological and scientific criteria with which it manages to practice a trade journal in which articles are published whose setting and the severity of which speaks for itself, recognize, this our professionalism, even the scholars and the people who do not think like us. Of course, I do not pretend that you take care to read dozens of pages we wrote about what she says, because the topic you raised, we have written for whole months, just to clarify as much as possible both those doubts whether those losses which is our pastoral work and theological clarification, you just have the patience to read what we have written. By opening this link you will find listed in chronological order all the articles we've written on this specific subject, about which, sincerely, I doubt that anyone can dispel all people the “confused” responding with four lines in the comment Articles. 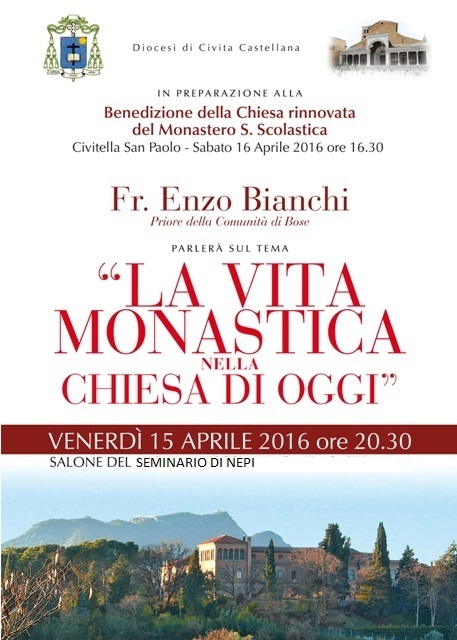 the bad teacher Enzo Bianchi in their dioceses and cathedrals [cf. WHO]. 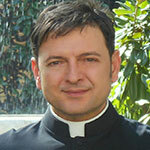 a Priest Don Leonardo Ricotta – unable to endure more than what he himself has defined “corbellerie” Bianchi was exposing – It was filmed and silenced by the bishop Lorefice. Educated to have filial respect for the supernatural mission of the clergy, I never understood how can an orderly or even ordering in sacris nurturing career ambitions, place that humanly and economically speaking “career” ecclesiastical least in Italy is laughable or even lousy. And for this goal, live as servants ? “Truth will set you free – No thanks, we prefer to be slaves and eat onions in Egypt”. As for the accountant Bianchi, null'altra the definition is attaglia but to manage a farm. The \"Ecclesia in Europa\". Avremo un Giubileo della Misericordia affogato nel sangue dai terroristi dell\'ISIS ?